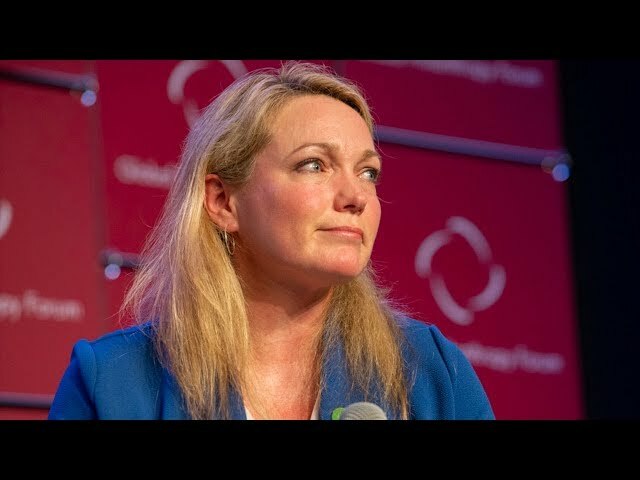 Nicole Hockley is a Founder and Managing Director for Sandy Hook Promise (SHP), where she leads and manages the organization’s work, focusing on communications and outreach efforts and frequently serving as its spokesperson. After the tragic death of her son Dylan, one of 20 first-graders killed at Sandy Hook Elementary School, she is focused on bringing people together in honest dialogue and searching for innovative solutions in the areas of mental health, school safety, community building and gun safety. She came to SHP with an extensive background in strategic marketing and communications for companies in the US and in the UK. Hockley oversees SHP’s strategic direction and communications, where she works tirelessly to enable social change and promote gun violence prevention. To date, she has lead SHP to educate and train over 3.5 million youths, teens, and adults in all 50 states through the organization’s four proven “Know the Signs” programs that are offered to schools, youth groups, and community groups at no-cost. Her passionate work has resulted in the prevention of multiple school shooting plots and gun threats, several teen suicides, as well as other violent acts throughout the country. In addition, Hockley was instrumental in working with BBDO New York on the award-winning PSA “Evan” that generated two billion impressions across 33 countries. The campaign championed the message at the heart of SHP’s mission – that gun violence is preventable when one knows the signs, and won 10 coveted Cannes Lions awards. After Dylan’s death, the Hockley family created Dylan’s Wings of Change, a 501(c)(3) charity with a mission to help children with autism and other related conditions to achieve their full potential, with specific programs on technology, sports & arts and a “Wingman” program that instills leadership and fosters inclusion. Today, Hockley remains in Sandy Hook with her eldest son, Jake.